Ineptitude breeds contempt. They say crime and murder in particular, impact us forcefully when they hit close to home. Unfortunately, I shockingly discovered the truth of that saying. I am left numb, at sea, bewildered and angry. I woke this morning with the refrain ‘Jah know, ah wah dem kill yuh fah?’ playing in my head. I found myself asking that same question as I reflected on the death of my friend, Mikey Dawes, in West End Negril last Thursday morning. Mikey was a true friend and might I say, my fellow Comrade who, for more than twenty-five years, did yeoman work for the PNP in Western Westmoreland. Politics and friendship aside, this death makes no sense. Frankly, the Western Westmoreland constituency seems to be under threat. Following last week’s carnage in Grange Hill, the security forces heightened their presence in Westmoreland so as to deter further assaults against the citizens of that parish. 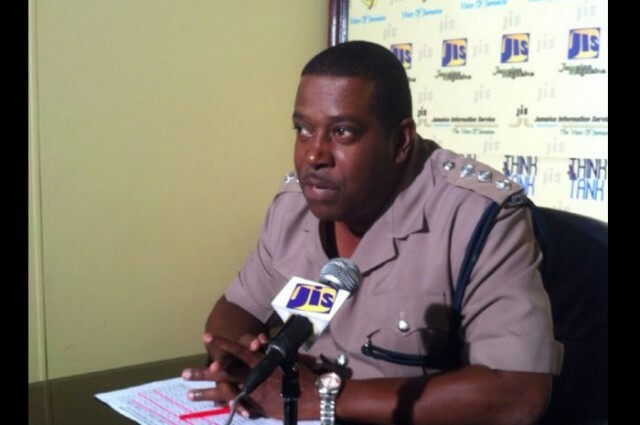 Incredibly, West End Negril was recently identified by the parish’s senior police officer as one of the problem areas. In late April 2018, Divisional Commander for the Westmoreland Police, Superintendent Gary McKenzie, was quoted as saying, “There are three main areas: The Savanna-la-Mar space, which includes the Dester, Dallin Street areas; and Morgan’s Bridge (police area), which includes Frome, Little London to a lesser extent; and Negril, especially Red Ground, and we have to focus on the West End to a lesser extent in that particular space.” Given that acknowledgement, one would assume that with the increased police presence in Westmoreland, West End would have seen an increase of police personnel. West End is not a big place, where were the police? Let’s say determined murderers will kill you no matter the police presence but given the geography of the West End, I find it implausible that the police were not able to apprehend the killers. That thought gives rise to the questions of how the police responds to murders and the quality of leadership of the police in the parish. Last week, in one day, marauding gunmen were able to successfully commit seven murders in one small geographic area. Those seven murders and ten wounding did not happen at once but over a few hours and three forays by the murderers. The convenient answer, to stem the carnage, by the police, then was the lack of vehicles to respond to the area not once but thrice. What is this, a banana republic? Couldn’t the police have called for reinforcement? West End is quite close to the Negril Police Station, officers at that station are charged to police the West End. Did those officers respond with alacrity when Dawes was shot? Were they aware of the shooting? What was their response time? Were they given a description of the vehicles the gunmen drove? Were efforts made to apprehend the gunmen? If so, what were those efforts? I have long been a supporter of the police force but when there are glaring inefficiencies, I am not going to sit idly by and not criticize them. I have numerous friends in the Negril area, I spoke to a number of them on Thursday and given their almost unanimous statements to me, they are very concerned with the police response. Superintendent McKenzie needs to be held accountable for the snafus of his charges, there can be no two ways about that. In less than ten days, eight lives were snuffed out and in every instance, the police seem to have been caught off guard. Those high-profile murders cannot continue; daylight killings in hedonistic Negril cannot continue. Wanton criminality in that once peaceful parish cannot continue. From my perspective, the leadership of the JCF in that parish needs to be revamped. Obviously, McKenzie has lost the confidence of most stakeholders when no less a person than Senior Medical Officer of Health at the Savanna-la-Mar Public General Hospital, Dr. Alfred Dawes, debunked McKenzie’s assertion that while there is an increase in crime in the parish, it is not true that Westmoreland is being overrun by hoodlums. The new Minister of National Security and the new Commissioner of Police need to divest McKenzie of operational control of the parish. Frankly, this man would rather gloss over the facts rather than acknowledge the spiraling crime rate in the parish. Maybe he should be shunted to the PR arm of the JCF. Peace! DISCLAIMER: Except for our editorials on these pages, the views expressed in other correspondence to us do not necessarily reflect our view and way of thinking.